Come On Aussie is a long established Australian Internet Consulting & Publishing business. It is owned by veteran Aussie web designer Stephen Spry, who has been online full-time since 1995! For over twenty years, I’ve helped SME’s develop, maintain and grow their online presence, properly! I say “properly”, as that involves looking closely at how all the different and relevant online elements interrelate to the much bigger picture that is your actual offline business! I try to become fairly intimate with your business, in an effort to understand exactly what it is you do, and how you do it. A range of appropriate online strategies are then developed to make it work for your particular situation! And I aim to do that without creating too much “extra” ongoing work for you! Why? Because YOU should be spending your time working on what you know – and that’s your business! So I spend my time working on what I know – and that’s looking after your web presence! So YOU Don’t Have To!!! THIS is what gives your online business every chance for success! Yep! There’s a LOT more! And to give the online branch of your business the best chance of succeeding, you really should get a professional to take care of ALL the finer details that need addressing! But since there’s only one of me, that means I am fairly selective about who I spend my time with! Who You Gonna Speak To? 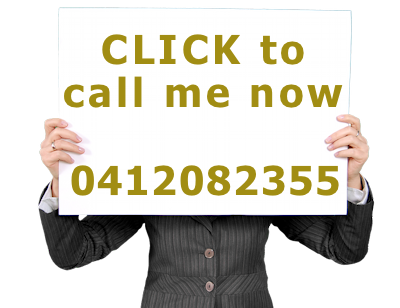 If you need to call – then phone 041 208 2355 Just make sure if you get my voicemail to leave a detailed message, and I will certainly get back in touch with you!